Coiled into the chromosomes of every cell in a living organism is the double-helix molecule called deoxyribonucleic acid, or DNA. The DNA molecule is only about 20 angstrom units in diameter—a mere 1/79-billionth of an inch—but it contains a long string of chemical “letters” that spell out an instruction manual for every part and process needed to support life in an organism. This genome contains a lot of letters; about 2 billion if for a corn plant, nearly 3 billion for a human. It would take about 50 years for a typist, cranking out 60 words per minute for eight hours a day, to get that many characters on paper. And it produces what appears, at least on the surface, to be a pretty darn boring read. There are only four letters; they represent cytosine, guanine, adenine, and thymine, the four nucleobases that, in various combinations of C,G,A, and T, describe genes and other genomic factors that determine the characteristics of a plant or animal. To a scientist, however, those strings of letters sometimes describe a puzzle worthy of a good mystery novel. It was just such an enigma that eventually produced a precise new tool for genome editing, called CRISPR-Cas, with potential to impact the agricultural landscape in the 21st century. “What makes CRISPR such a powerful, revolutionary technology is its precision,” says Kan Wang, an Iowa State University agronomy professor and co-director of the Crop Bioengineering Center. “It brings a new level of efficiency to plant breeding. Iowa State University researcher Kan Wang. Letter perfect. The story traces back to 1987, when Japanese researchers were studying a region of the genome in a bacteria, E. coli. They found—but could not explain—five identical DNA sequence repeats, which were separated by non-identical DNA “spacer” sequences. Further research with bacteria, such as those used in making cheese and yogurt, also identified regularly spaced repeats of DNA sequences. Adding to the mystery, scientists also found that these repeats were palindromes—the letters read the same whether spelled out left-to-right or right-to-left. Scientists named this phenomenon “CRISPR,” an acronym for “clustered regularly interspaced short palindromic repeats.” Some adjacent genes were given the designation of “Cas,” to indicate CRISPR associated genes. Researchers took another step in solving the mystery when they realized the spacer “letters” represented short genetic sequences associated with viruses. Scientists were aware that some species of bacteria protect themselves from viral intrusions by setting loose molecular “scissors” that slice and dice the genetic code of their viral invaders. Further study confirmed that, indeed, CRISPR-Cas is a bacterial immune system. Bacteria that survive a viral infection grab sequences from the invader and stash it away in their CRISPR loci. The bacteria then are resistant to any subsequent attack from that specific virus. By 2012, scientific journals published papers that described the next step; how this CRISPR-Cas system could be used in editing a genome. A protein from the Cas9 gene provides the molecular scissors, while a short stretch of guide RNA points the way to the DNA sequence to be cut. These papers made it clear that the CRISPR-Cas tool could be programmed to recognize and edit virtually any DNA sequence from any living thing—plant or animal. Waxy win. Using a genome-editing tool also can help speed the development of plants with a desired output trait. In fact, the first CRISPR commercial ag product to hit the farm gate likely will be a Pioneer waxy corn hybrid that is well on its way through the development pipeline. “We thought that waxy corn would be an ideal choice for our CRISPR-Cas advanced breeding program,” says Nandini Krishnamurthy. 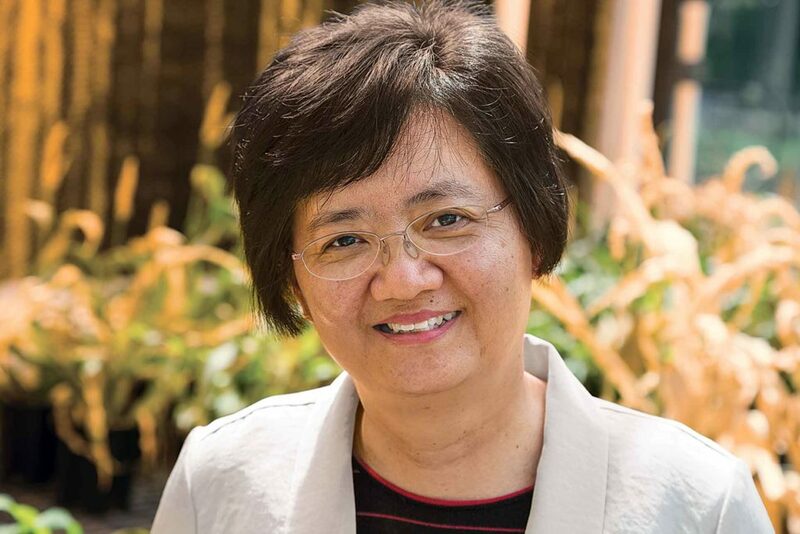 She’s a senior research manager for Corteva Agriscience, Agriculture Division of DowDuPont, who specializes in trait discovery and optimization. A solution of a Cas protein along with a section of guide RNA begins the CRISPR process. Waxy hybrids have been around for decades, developed through conventional breeding; these conventional hybrids have a naturally occurring partial deletion of the waxy gene responsible for amylose production in the kernel. As a result, nearly all the starch in the grain is amylopectin, a starch that has desirable properties used in foods, as well as in paper, textile, and adhesive industries. By using CRISPR-Cas to make the deletion in current elite inbreds, the company was able to speed the development by avoiding generations of backcrossing. The CRISPR-Cas system can help reduce some of the baggage that comes along with everyday foods, as well. At Pennsylvania State University, researchers used CRISPR to make a small deletion in a gene, interrupting the development of melanin. It’s melanin that causes white button mushrooms to brown after they have been sliced or bruised. And tomato lovers are anxiously waiting results from CRISPR-Cas efforts to bring missing flavor components to the modern commercial tomato. Researchers at the Plant Innovation Center at the University of Florida have identified 13 key flavor volatiles and located the position of the genes that make these compounds. Previous research shows CRISPR-Cas to be effective in editing the tomato genome. Prevent PRRS. 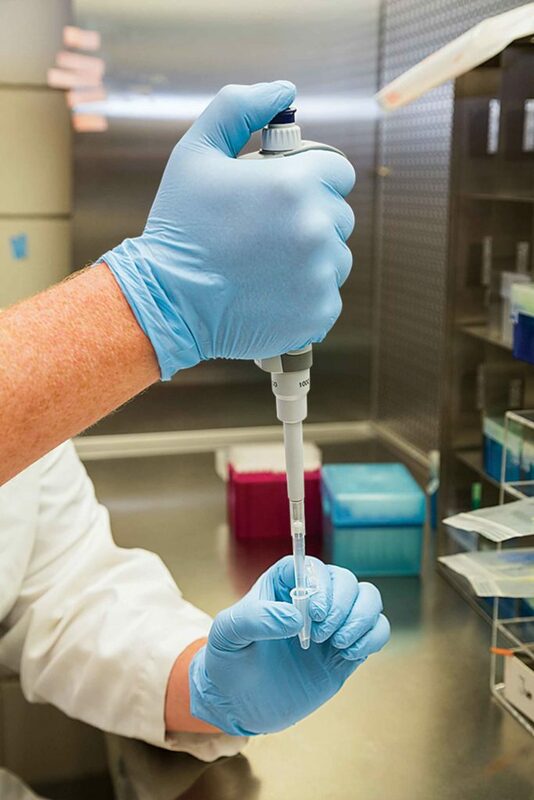 Researchers at the University of Missouri used CRISPR-Cas to alter a few letters of the pig genome and came up with a breakthrough—piglets that were resistant to the devastating disease called porcine reproductive and respiratory syndrome (PRRS). The Missouri researchers, along with Kansas State University scientists and a commercial partner, Genus plc, have published their studies; the concept could have a significant impact on how diseases are addressed in other livestock species. 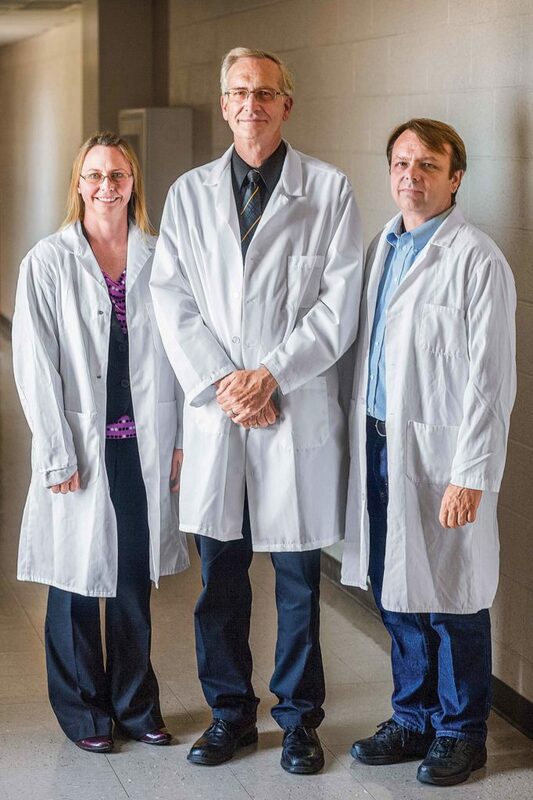 University of Missouri researchers Kristin Whitworth, Randall Prather, and Kevin Wells teamed up to use the CRISPR-Cas system to produce pigs that can resist the PRRS virus. to an agency press release. It’s a different story for livestock. The U.S. Food and Drug Administration has authority here. This agency’s current stance is that, if even one letter of the genome is changed, the animal will need to go through the same process as a new drug approval—a long and costly effort. As a member of a discussion panel at CRISPRcon, an annual industry summit, Spronk explained how PRRS was devastating—not just from the standpoint of pig illness and deaths, but stress on farm families and workers in the pig barns.